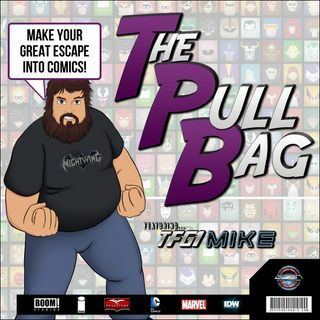 In Episode 311 of The Pull Bag join TFG1Mike and Dane Lamont from Punisher Body Count as they talk about the six stories that make up The Flash Season Zero! Yes that's right folks it's a tie in comic. This was a part of the DC Comics Digital Series a few years ago... and takes place somewhere within Season 1 of The CW hit show The Flash! Dane throws Mike under the prelude, prequel, or tie in comic bus, and we have a lot of fun chatting about this strange Flash trade. Is it a Flash in ... See More the pan, or is it worth your FlashTime? Tune in to find out! As always Make Your Great Escape Into Comics!! !